James Hoban, “James Hoban,” Histories of the National Mall, accessed April 23, 2019, http://mallhistory.org/items/show/108. 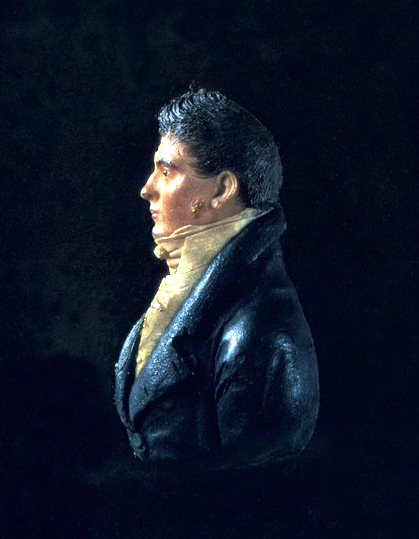 James Hoban was an Irish-born architect who won a competition in 1792 to design the home of the President. He moved from South Carolina to Washington, DC, to oversee the construction of his design. A neo-classicist, Hoban's design influenced the style of other government buildings in Washington, particularly the executive office buildings designed by George Hadfield. After British troops burned the White House in August 1814, Hoban was hired to oversee repairs and renovations to the building. White House Historical Association, White House Collection. View original image. James Hoban was born in Ireland in the late 1750s. As a young man he studied architecture and drawing in Dublin, winning a prize from the Dublin Society in 1780 for his architectural drawings. He emigrated to the United States following the Revolutionary War. Between 1787 and 1792 he worked in South Carolina designing public and private buildings. In 1792, Hoban won the design competition for the President's House to be built in the new federal city. After speaking with President George Washington, who had some suggestions for revisions to his design, Hoban travelled to the District of Columbia. While there he also served as the superintendent of the construction of the Capitol from 1793 to 1802, where he implimented William Thorton's design. Hoban remained in Washington, DC, for the rest of his life, designing a number of private buildings as well as ones for government and public use. In 1799, he married Susannah Sewell, with whom he had ten children. He helped to establish the first Catholic church in the city, St. Patrick's Catholic Church on 10th Street, NW. Also, Hoban served as a captain of the Washington Artillery, one of the city's earliest volunteer miltia companies. Hoban died in Washington in 1831 and is buried with his wife in the Mount Olivet Cemetery. Pamela Scott. "Hoban, James." In American National Biography Online. Feb. 2000.